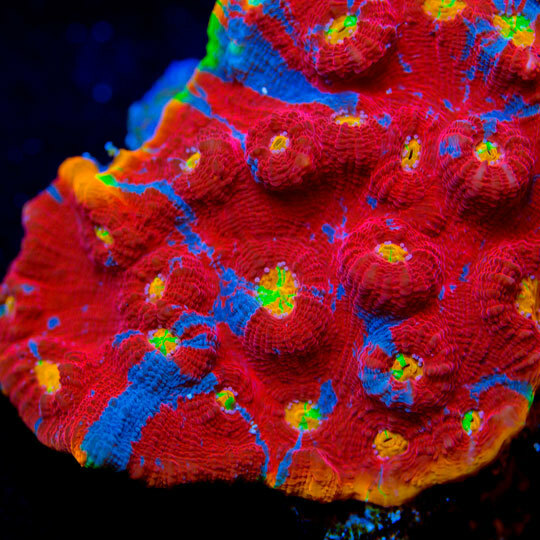 If you looking for an amazing rainbow chalice then you might want to consider this AquaNerd featured coral of the week for your Christmas wish list. The Confetti Cake Chalice looks good enough to eat but at $299.00 for 3/4″ – 1″ frag you’re better off watching it grow into a beautiful colony. The coral features 4 vidid shades of red, royal blue, orange and lime sherbet green. Chalice corals do well in varying conditions of lighting and water flow but most species are commonly placed towards the bottom to middle of the aquarium. 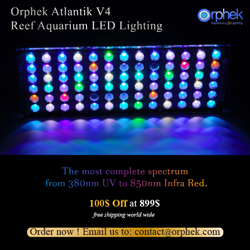 Some of these corals even prefer areas where they are shaded from more intense lighting to combat bleaching while others do better under intense lighting. 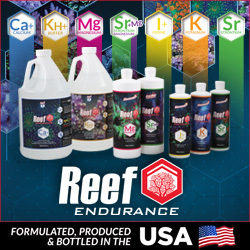 For this reason, its best to consult with an experienced grower or retailer when purchasing these corals. Sometimes hobbyists assume a group of corals all like the same conditions. This is not true with “Chalice” corals because they are often incorrectly classified or misunderstood. Rainbow chalices like Joe’s signature colony typically prefer mid to low light four best coloration. Water flow needs to be moderate to moderate low. Target feeding these corals will increase growth rates and can easily be done with a pipette by administering coral foods directly over each polyp or mouth. Soon after the food has been introduced, feeding tentacles will emerge and the polyps will draw the food into the mouth and passed to the gut. Chalice corals are nocturnal feeders in the wild but they will easily adapt to a daytime feeding schedule. For further enjoyment, continual daytime feedings will cause the feeding tentacles to emerge during the day even when food is not present.